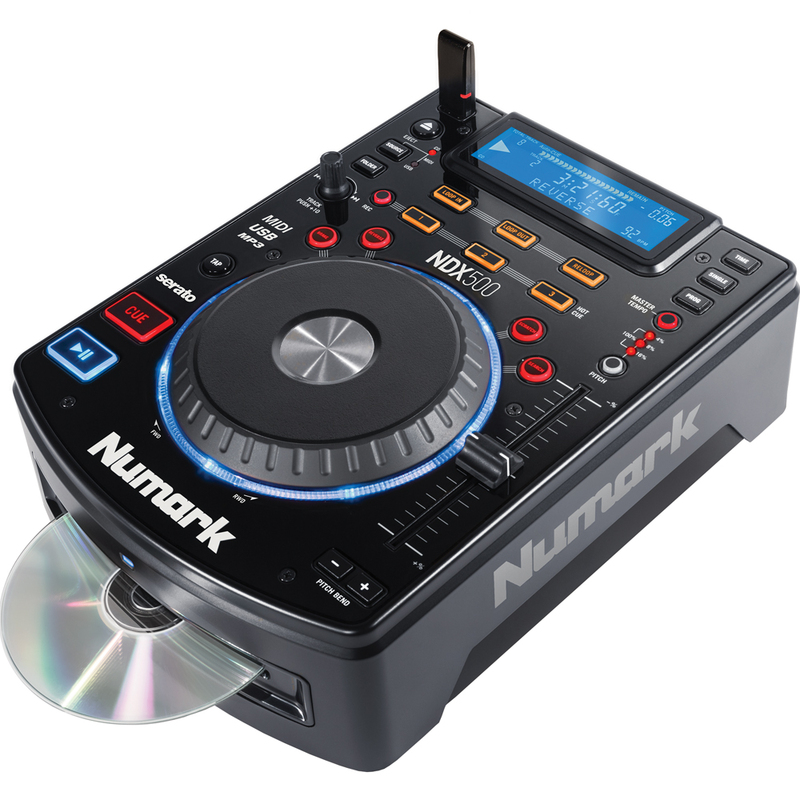 The Numark NDX500 is a USB/CD media player and software controller that allows you to DJ with your entire media library anywhere. 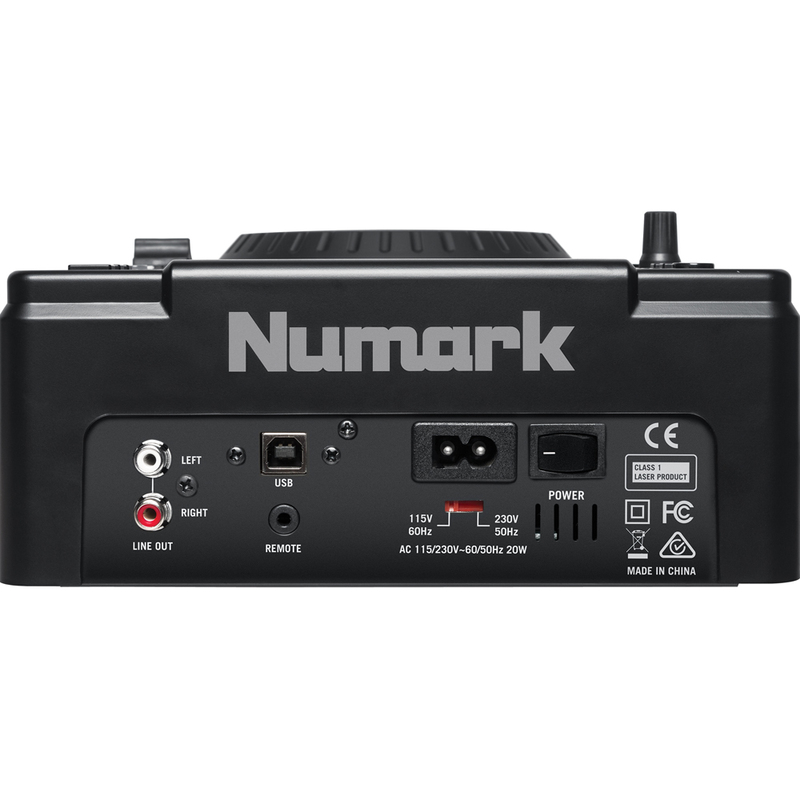 It is designed to offer solid standalone functionality as well as tight software integration, making it an ideal choice whether your setup is hardware or software based. 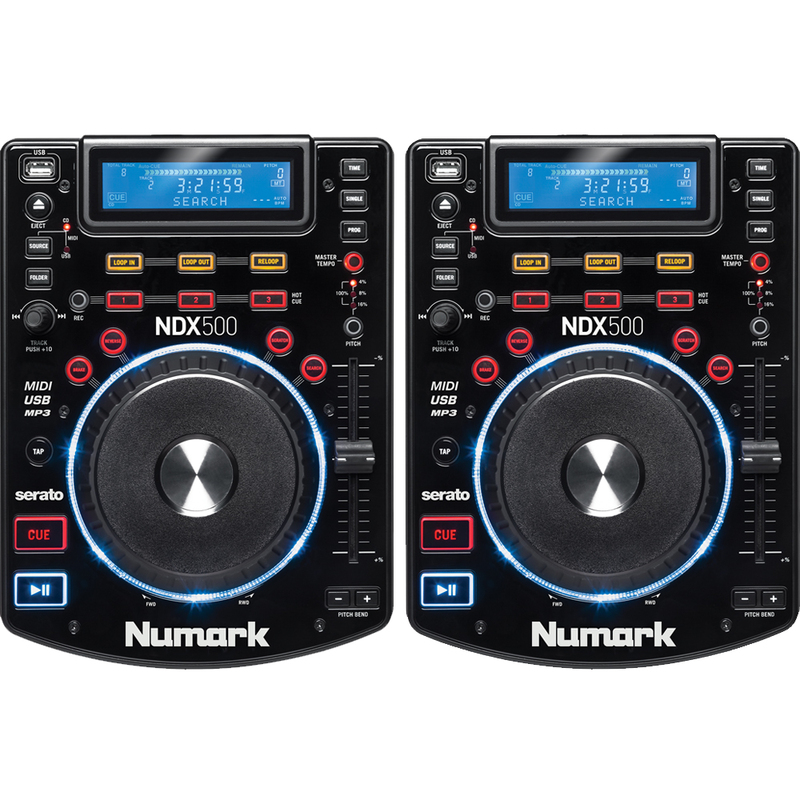 The NDX500 is capable of playing music from virtually any digital audio source. USB flash drives, CDs and MP3 CDs can be used without turning on your computer, or alternatively use the built in audio interface and USB-MIDI mode to control your software. The precision touch sensitive platters are extremely accurate and facilitate scratching, backspins and searching with reliability in any environment. The adaptive platter technology will automatically calibrate itself for optimum performance regardless of the temperature and humidity. The start and stop times are adjustable so you can perform vinyl-style braking and and start up effects. 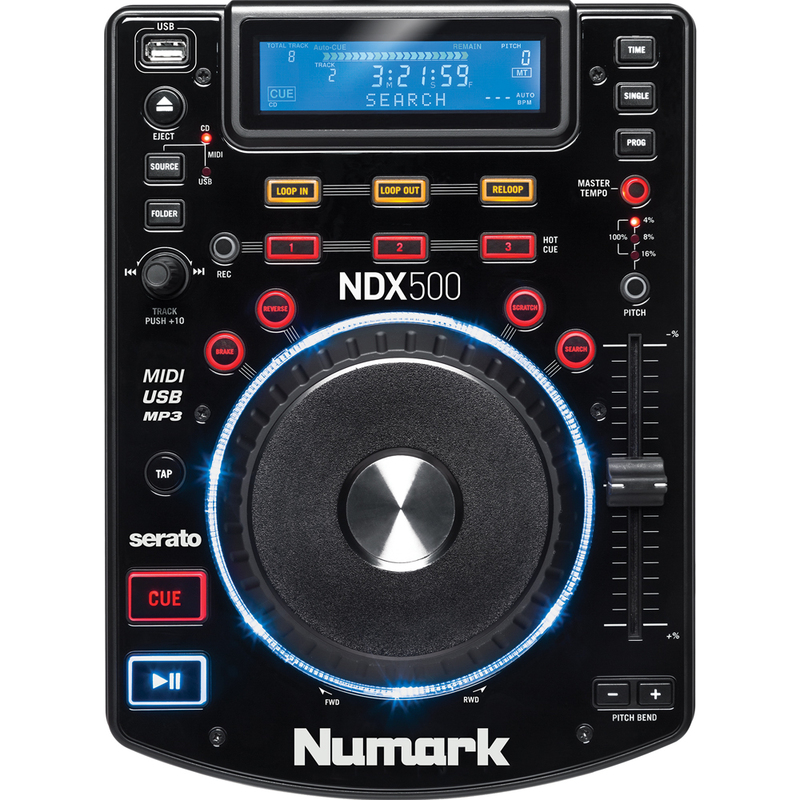 All of the NDX500s controls a pre-mapped to functions Serato DJ (not included) so you can connect straight to your Mac or PC and start performing immediately, and the NDX500s built in audio interface allows to you playback audio straight from your computer. No matter which source you choose, the backlit display allows you to see all the critical information you need for your performance. The range of extensive track manipulation controls allow you to get creative during your set. The three hot cue buttons allow you to quickly navigate to key points in your track. the loop functions and stutter start provide seamless creative possibilities and the accurate BPM counters with tap tempo give you precise feedback to help you mix with precision.